If you have a popcorn maker, pop the popcorn in there then add the olive oil one tablespoon at a time, mixing it thoroughly. If you do not have a popcorn maker put one teaspoon of the olive oil in a heavy bottomed pot along with the popcorn kernels. Cover the pot and allow to sit until the kernels start to pop. Remove from heat and allow to cool for a few minutes. In a small bowl mix together the seasoning ingredients along with all or some of the extra seasonings listed. 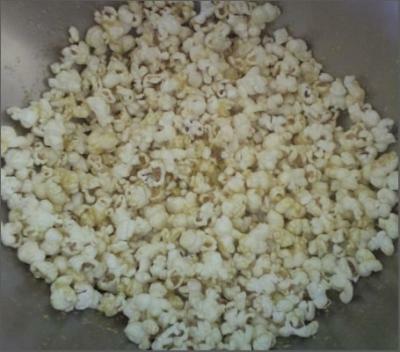 Using a container with sifting holes sprinkle the seasoning over the popcorn pausing here and there to mix the popcorn. Make sure to take test tidbits as you do this and add the seasoning to your desired taste.